In America, where the continent is geographically different from the territorial unit which form Asia, Africa and Europe, Colombia is the extreme north-west of South America and its territory spans from the archipelago of San Andres y Providencia in the Caribbean Sea, toward the extreme northwest of the Amazon basin and the Andes, sharing land borders with which today are Venezuela, Brazil, Ecuador, Peru and Panama and in marine areas bordering Costa Rica, Haiti, Honduras, Nicaragua, Jamaica and Dominican Republic. 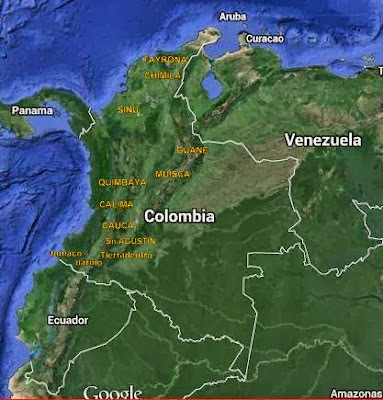 North of the border with Ecuador, in Colombia the Andes cordillera forms a fluvial star with great rivers: the Río Grande de la Magdalena, running northward, passing through the center of the country; the Cauca river, with the same direction to the West of that river, to join it ahead. From the same geographical knot in the South of the country, the Colombian Andes displayed to the North three mountain ranges with elevations above 5000 ft.: the cordillera Oriental (eastern), the Central, with several eruptive volcanoes and separated from the oriental range by the watershed of the Magdalena river, and the cordillera Occidental (western), separated from the Pacific Ocean by the humid jungles of Chocó. 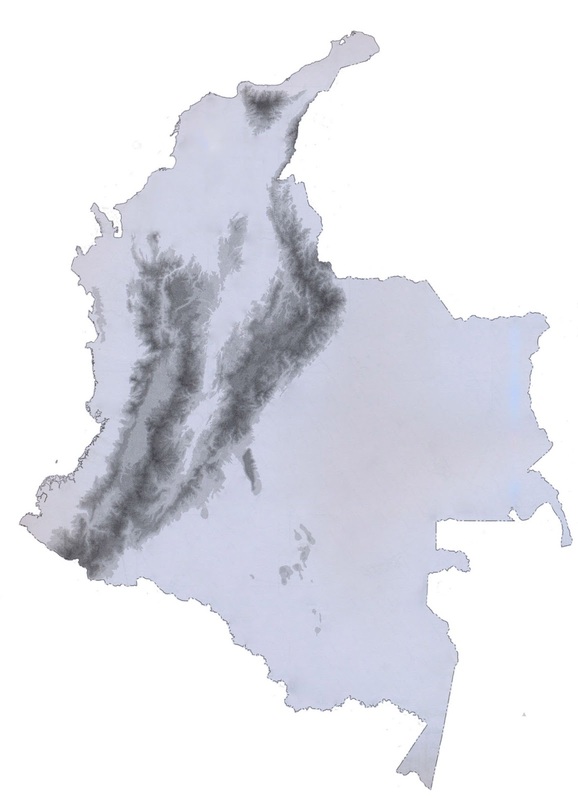 There are also two independent systems: to the North the Sierra Nevada de Santa Marta which from the jungles adjacent to the Caribbean Sea rises up to the snows near the six thousand meters high; and to the south at the Amazon foothill, is situated the Serranía de la Macarena, biological reserve of humanity. 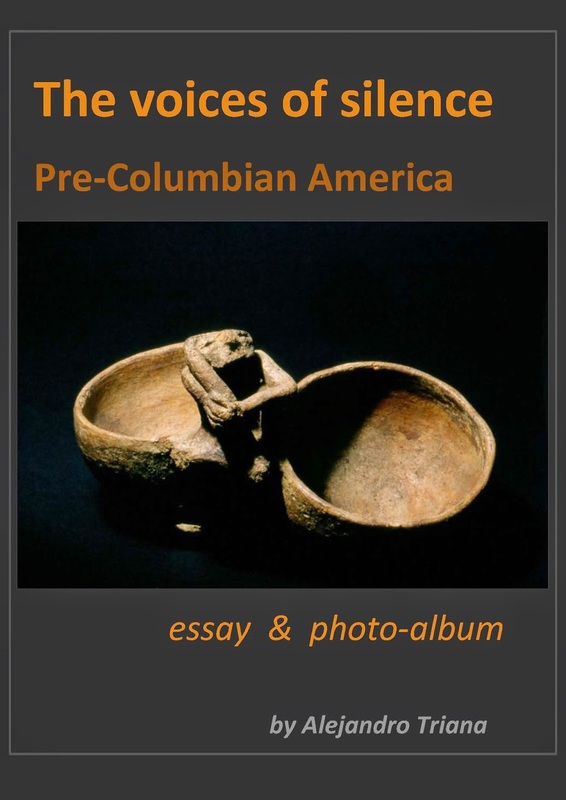 Biodiversity and geographical position of Colombia, should promote rich cultural exchange on the settlement and peopling of early America. 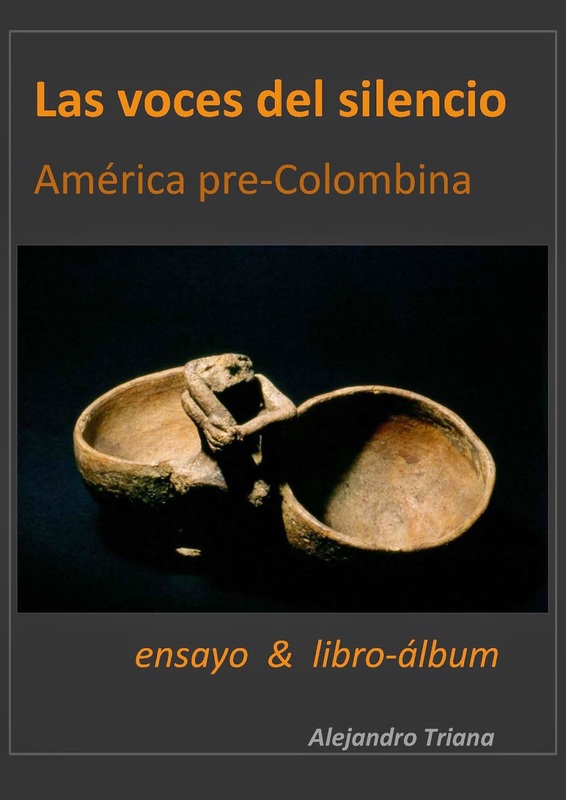 The archaeological site of St. Augustine, for example, is an important crossroads: is the lowest depression of the Oriental mountains, forming a natural communication with Amazon Northwest; located at 1,800 meters above sea level, only one or two days are páramos (cold and humid mountains) or tropical regions that offer the resources of various levels of altitude and climates. Near San Agustín, open several ways in the mountains that communicate with the plains of the Orinoco and the Amazon rainforest; other roads, to the West, lead to the coast of the Pacific Ocean, other destinations are opened by the mountains from the South to the Ecuadorian mountain ranges, and through the Valley of the Magdalena river, which extends to the North, reached the Caribbean Sea, full of Sun, blue horizon and warm water.